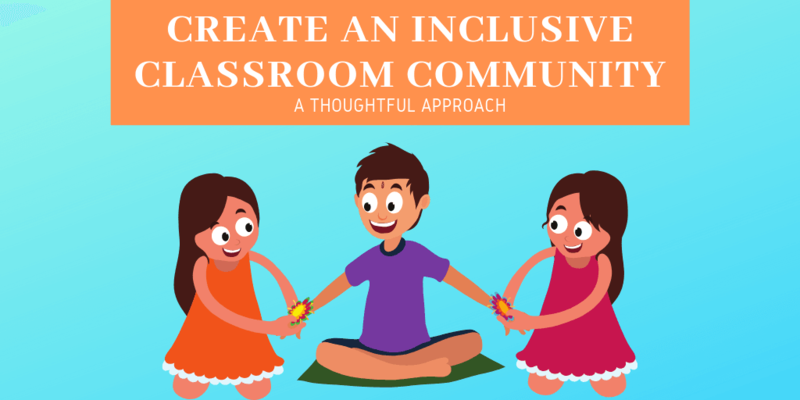 Inclusion is a buzz word across the education community and can mean everything from completely immersing students with special needs in the general education classroom, to ensuring that students of every gender, race and religion feel safe and welcomed. Regardless of context, inclusion is not something to be taken lightly. Well meaning teachers often assume that they are practicing inclusion by simply being kind to every child in their classes. While their hearts are in the right place, true inclusion requires a bit more thought and preparation. After talking with some seasoned teachers, I’d love to share several tips that will help you truly include every single student in your classroom this year. Create a diverse classroom library: Books are a fantastic way to both affirm and expose students of every kind. It is absolutely imperative that every student in your class be represented in your classroom library. Look for books that tell stories of different races and religions as well as books that address unique life situations including learning disabilities, and single parent homes to name just a few. Even if your classroom is relatively homogenous it’s still important that your classroom library be diverse, as literature is a fantastic way to expose students to people who are different from themselves. Although there has been a recent push for diversity in children’s literature, most western books still tell a very white, male led story, so finding diverse books for your classroom can be a challenge. These two lists are fantastic resources and will give you a good start: Building a Diverse Library in the Secondary English Classroom and The Ultimate List of Diverse Children's Books. Learn about your students: Take time not only to talk to your students about their lives, but also to do some background research if you have student circumstances or cultures that are unfamiliar to you. I have had several students with Type 1 Diabetes in my classroom and a teacher with Type 1 kindly recommended several events for me to attend and a handful of books for me to read that would help me become familiar with the disease. My newfound knowledge helped me better serve both my students and their families. Show your students that you value them for who they are: Nothing tells a student they are valued more than a teacher who truly builds a relationship with them. From the start, work hard to build a relationship with every single student. This rapport will help your students flourish and will allow you to navigate potentially difficult situations with ease as the year goes on. Make assignments accessible to everyone: Even though culture at large is beginning to embrace diversity, many students still dread being different. Knowing this, it’s important to ensure that each assignment is accessible to every single student in your classroom. This may mean offering a Spanish translation for an ELL or a shortened version for a child with severe ADHD. As you get to know your students you’ll learn to know what works for them, but at the beginning of the year I find it very helpful to dialog with both parents and former teachers of your diverse learners to find a starting point. Allow students to share about their differences, but don’t force them: Every student deserves a safe space. Do all that you can to make your classroom that space. If students want to share about their differences, embrace it and welcome others to do the same. A Washington DC area teacher, with over 14 nations represented in her 5th grade class, told me that her students love to share their varying backgrounds and welcome each other in a variety of languages during morning meeting each day. What a fantastic microcosm of the world they are experiencing! Keep in mind, however, that not all students will feel comfortable sharing and you definitely don’t want to make a single different student feel like the spokesperson for his or her people group, so get to know your students and follow their lead. Learning to be an inclusive teacher and building a truly inclusive classroom community is a constant process. Check out these books on teaching diverse students for additional information and encouragement.